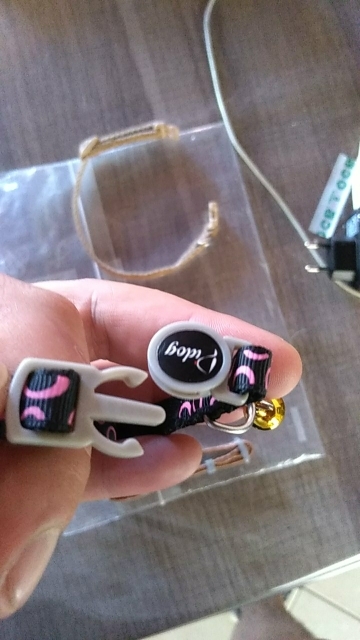 Arrived very fast, exactly as shown in the pictures. 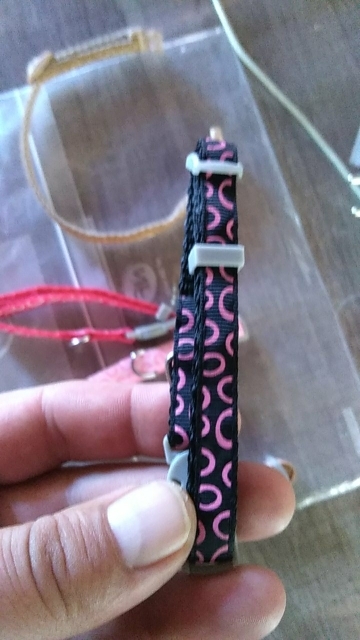 I hope the buckle of the quick release works. 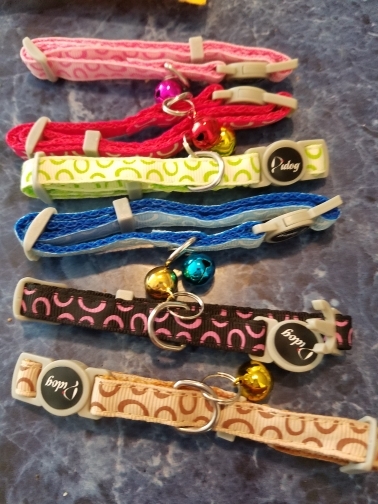 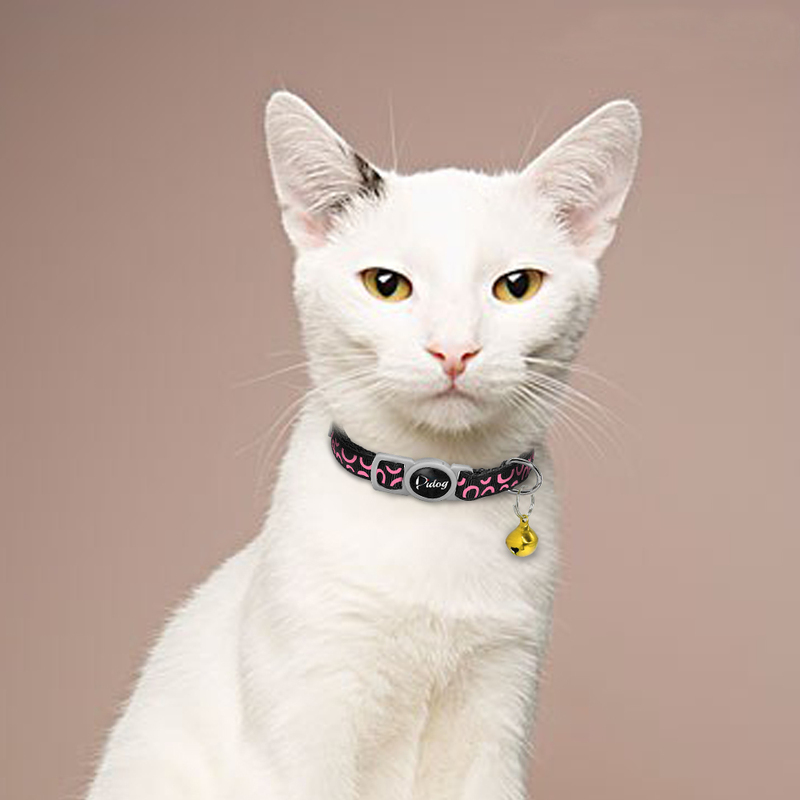 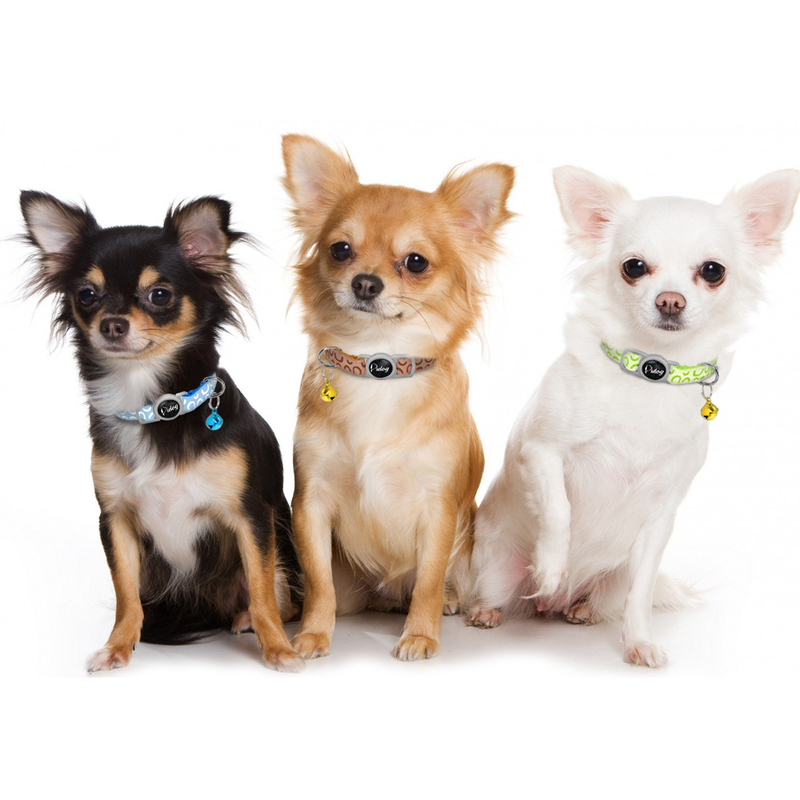 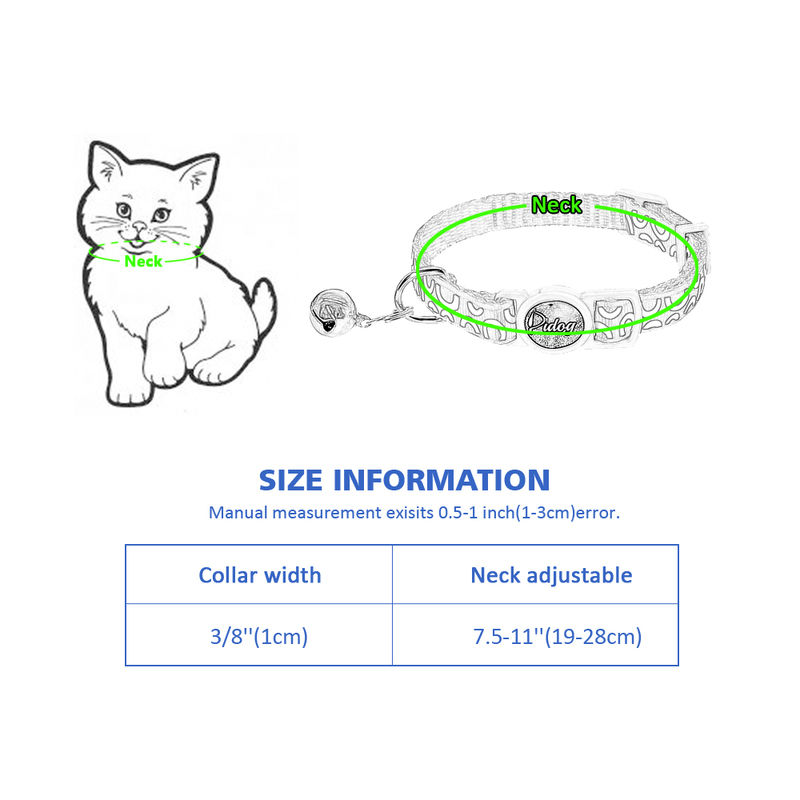 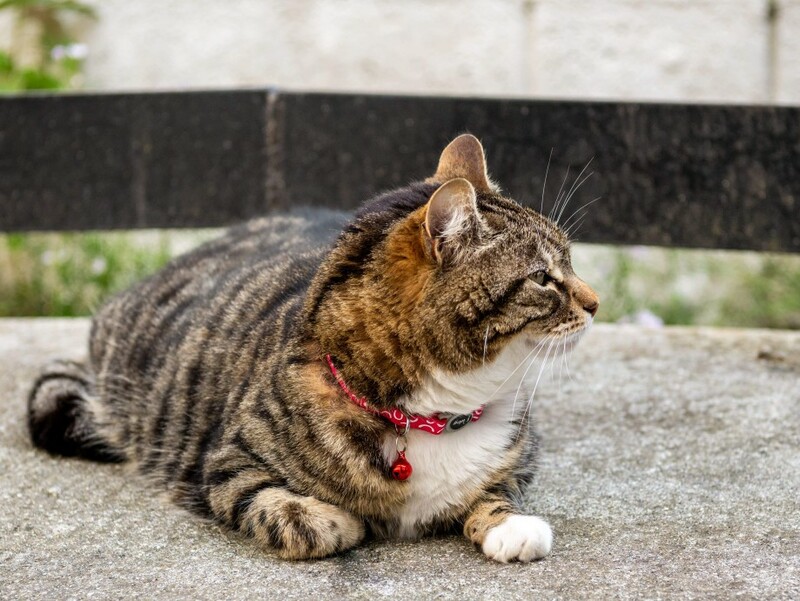 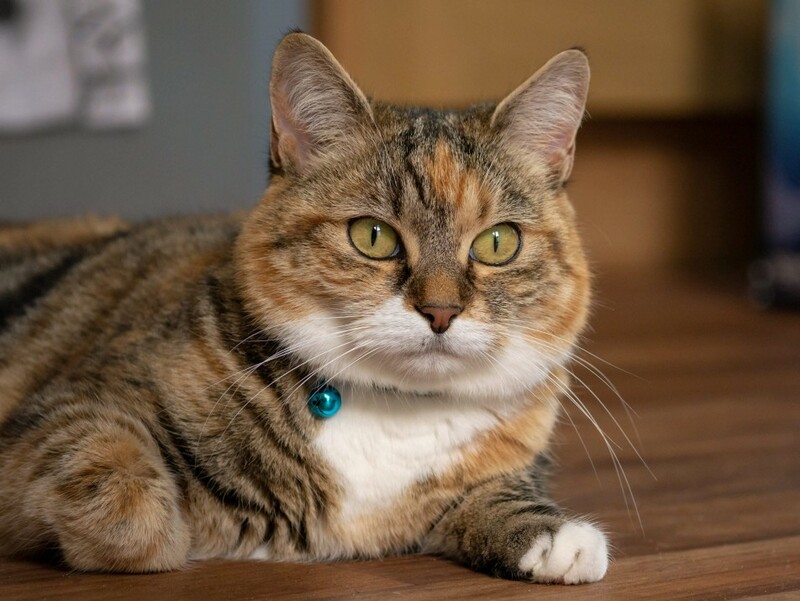 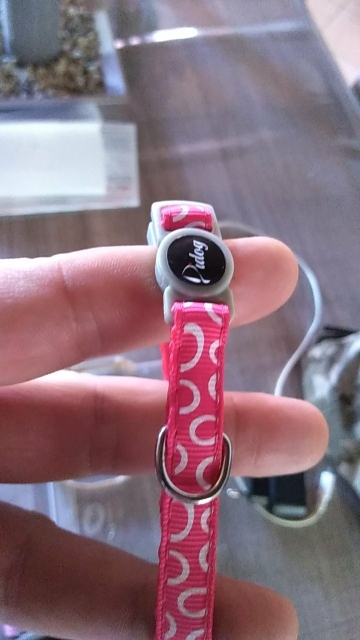 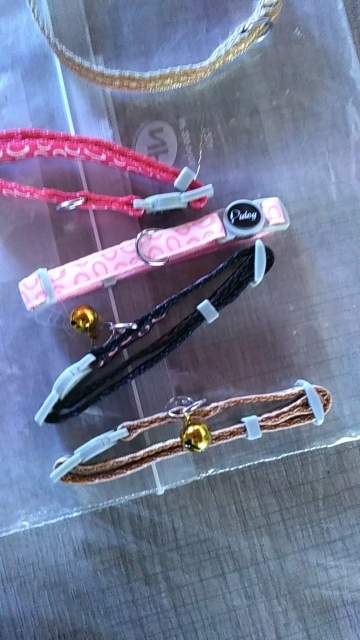 Great buy, My cats always manage to lose their collars when they are out and about but a collar makes sure people know the cats belong to a family when they have the collars on so they are not picked up as strays. 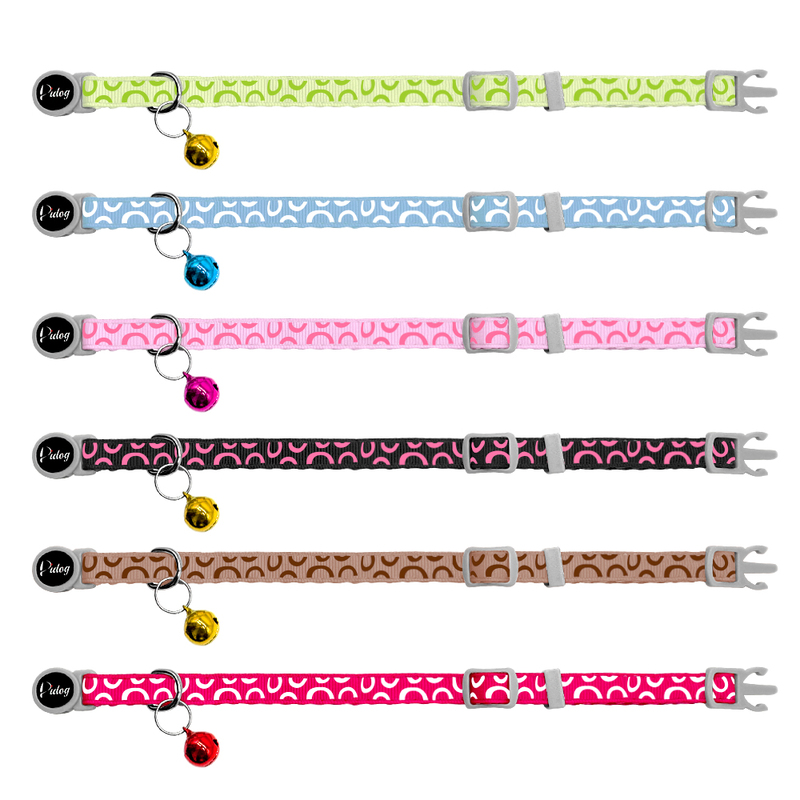 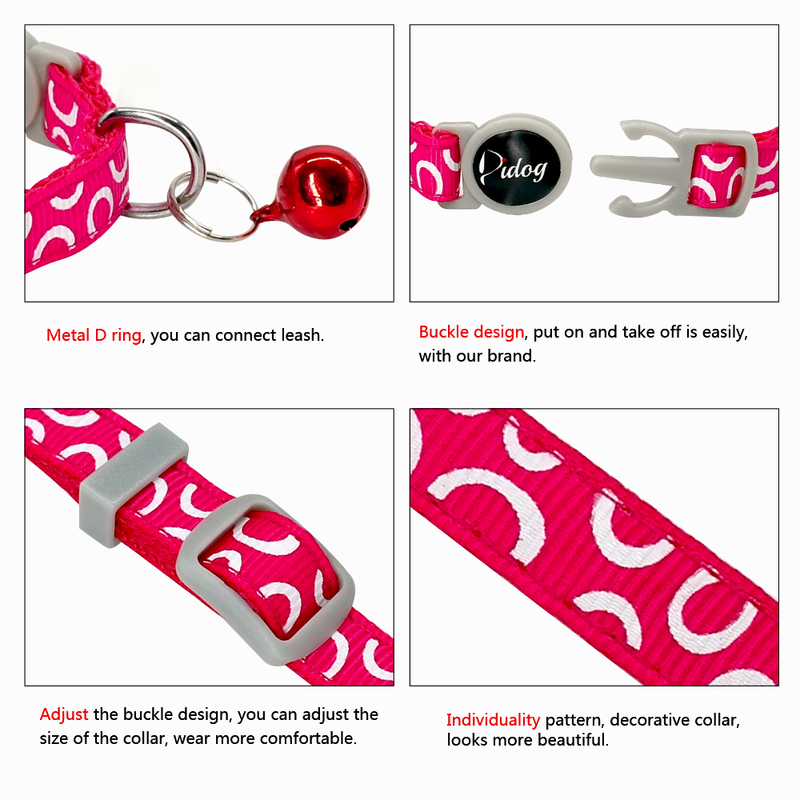 They are good quality, bright colors with safety release clasp.